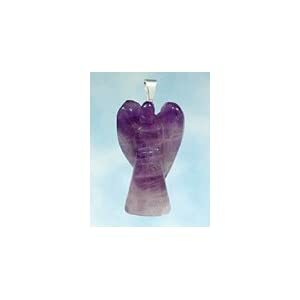 This page showcases some wonderful crystal angels, ideal as gift or for collectors. 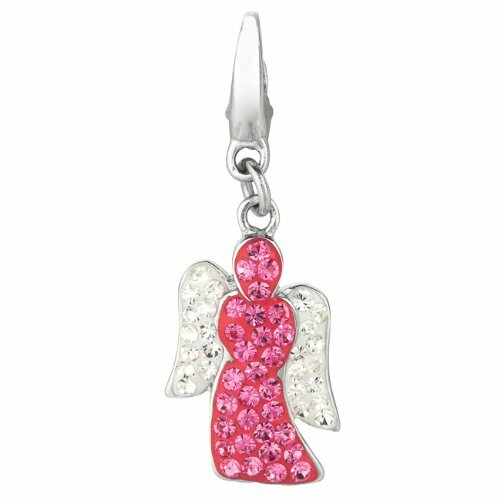 If, for example, you are looking for gift ideas for your Mom and if you think your Mom is your angel – I’m sure she would love one of these – at any time of year. 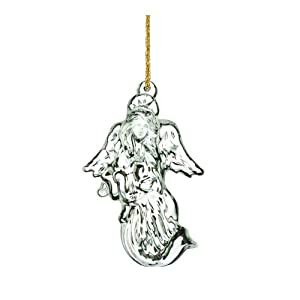 Hidden among the selection of angels night lights, tree ornaments and collector pieces, are some gems of Angel lore, Angel quotes and thoughts about Angels. 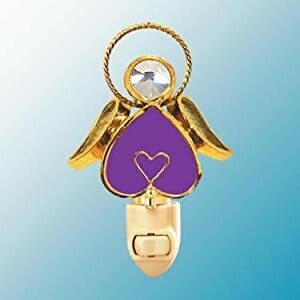 If you would like to know which of the 4 archangels is your guardian angel – follow the simple meditation technique below. 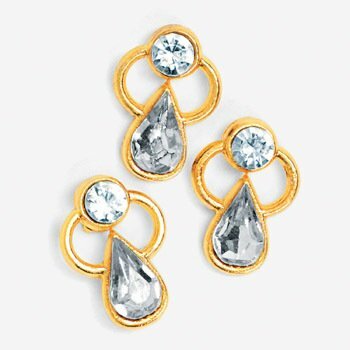 Picture link:This is a beautiful lead crystal collectors item. Sized 5 x 1.2 x 6.8 inches. This piece looks spectacular with light behind or beneath it. 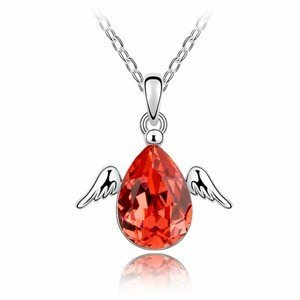 About Angels – Did you know? 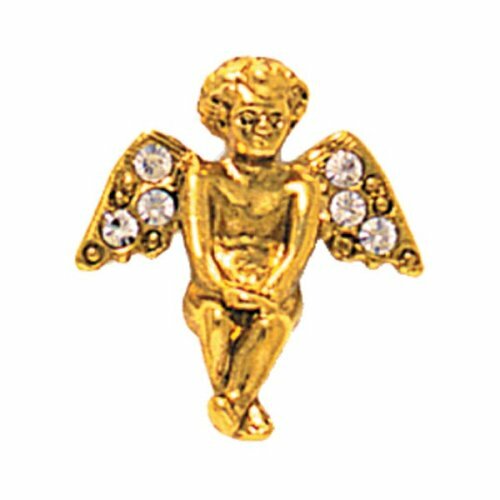 Though maybe called different names, benevolant spirit beings quite similar to angels can also be found within other religions, mythologies, and lore. Hinduism has avatars, Buddhism has devas and bodhisattvas, the Greeks wrote about daimons, and other spirit beings similar to angels, such as guardian spirits and spirit guides, have been taught by tribal cultures. 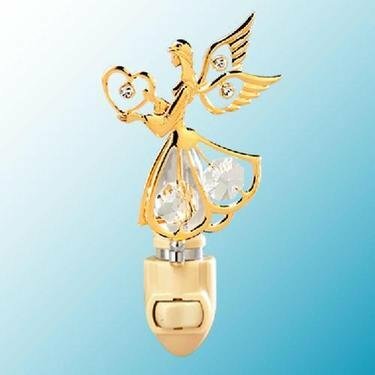 All of these have similar function as helpful spirit messengers, or angels. 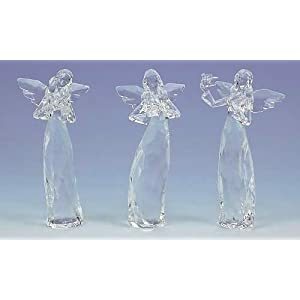 These crystal angels look like sculpted ice and will look spectacular on a tree or hanging in a window. The fascets will reflect the light. Waterford is one of the world’s leading experts in making crystal ware. 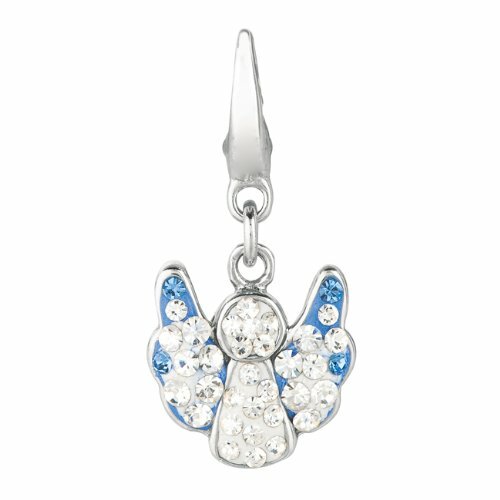 This gorgeous angel is forms part of their Celestial Angel Collection – a must-have for collectors. 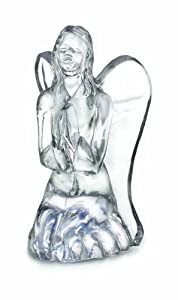 This is a beautiful inspiring crystal angel from Waterford Crystal. 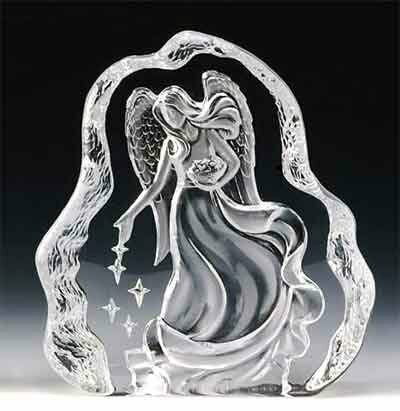 Called “Angel of Grace” this one is the first in a collection of 6.5 inch crystal angels that will delight collectors. 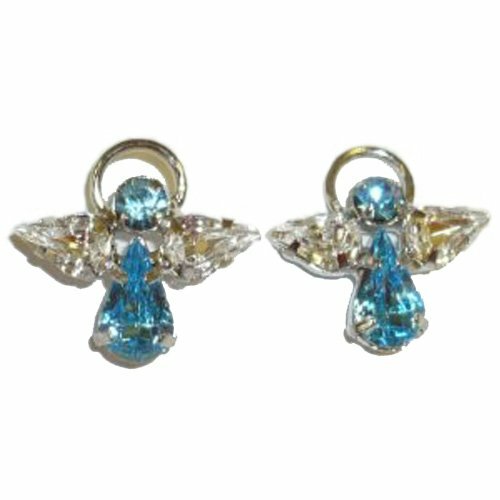 These beautiful crystal angels will make delightful gifts. 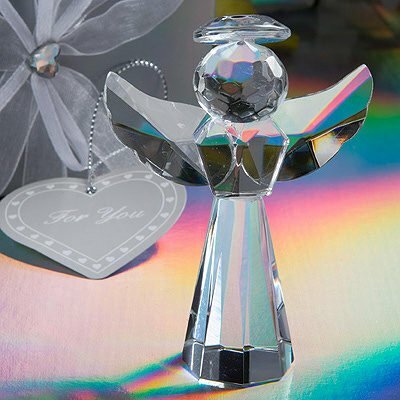 The blown crystal catch and reflect light bringing rainbows right into your home.. 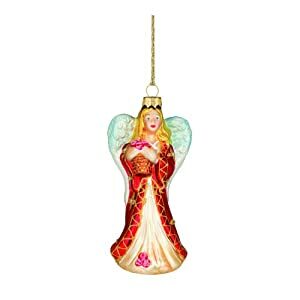 Hang in a window or on your tree and watch it sparkle. 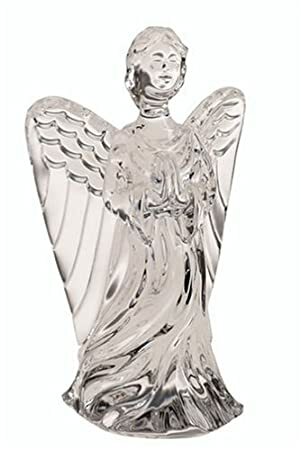 Collector’s piece – engraved lead crystal angel. 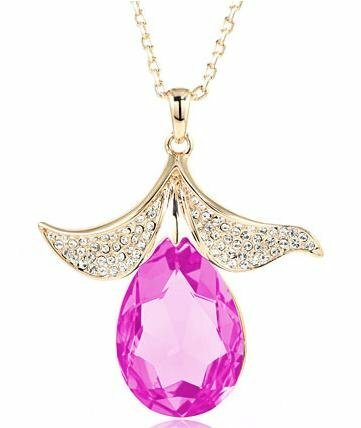 This looks spectacular with a light behind or beneath it. 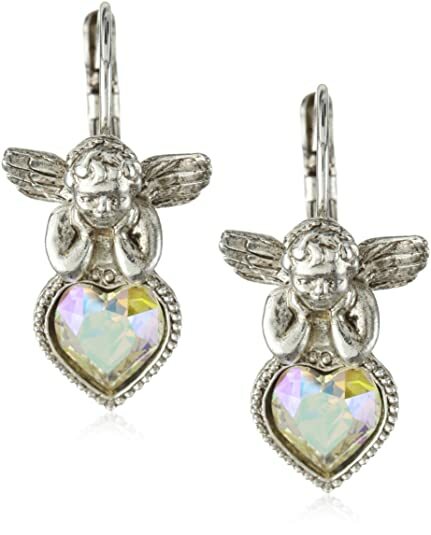 Irish crystal from Waterford – this is another angel in their Celestial Angel Collection. 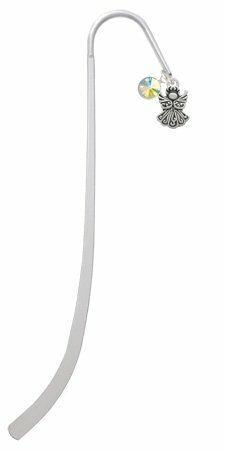 This collector’s item was first issued in 2007 and is a must-have for the collector of Waterford. 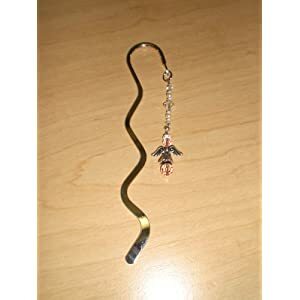 It measures 8-1/2-Inches and comes in a super gift box. 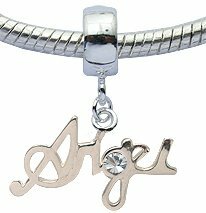 Ideal gift for any occasion. 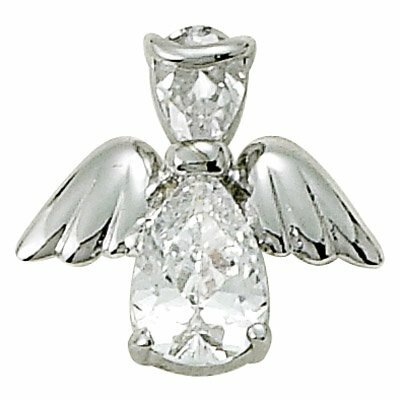 Angels are all around us and they come in many guises. 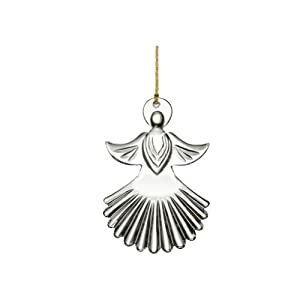 Everyone has many different angels for different purposes and at different times in their lives. But one constant is a guardian angel that is with us all the time. 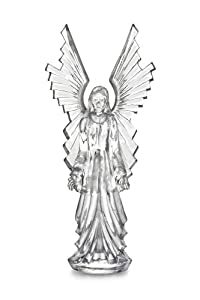 It can be any of the 4 archangels: Michael, Gabreal, Raphael, or Uriel. 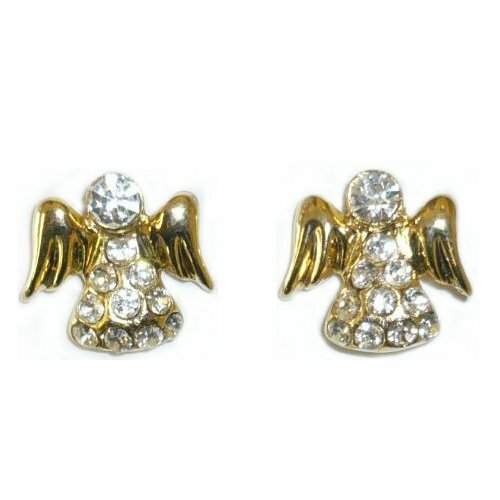 Angels are guides, they are protectors and are very different from spirits. 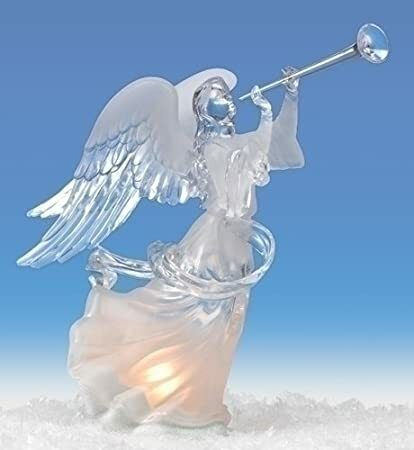 Angels have seldom ever been human, they are light beings who come as messengers to help us here on earth. 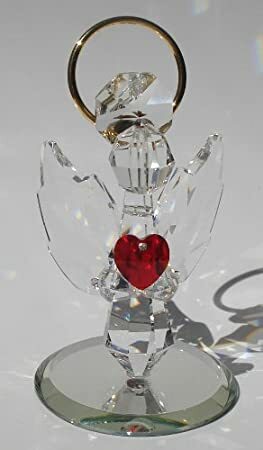 An angel will never tell you what to do, an angel will only ever guide you. 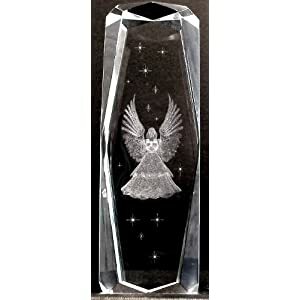 If you would like to know who your archangel is, just ask! Find a warm quiet spot where you will not be disturbed. Sit upright in a chair with your feet flat on the ground and your hands resting lightly in your lap. Allow your breath to steady and your mind to relax. You can do this by concentration on watching yourself breathe. Simply breathe in to a count of 4 and breathe out to a count of 4 and continue until you feel your muscles relax. In the silence of your mind ask who your guardian angel is. The first name that pops into your mind will be the one. 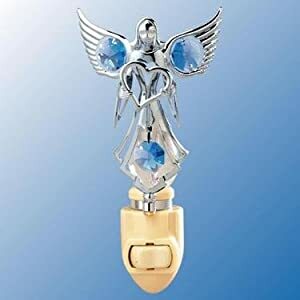 My archangel guardian is Uriel and I know when he is present because I can feel his hand on my shoulder.